The office copiers in your workplace are no longer just copiers. In fact, it’s a central hub for transforming your business into an efficient machine. The working relationship you have with your Multifunction Copier company is vital to your satisfaction with the Multifunction Copier you choose for just one office or for a fleet across the country. 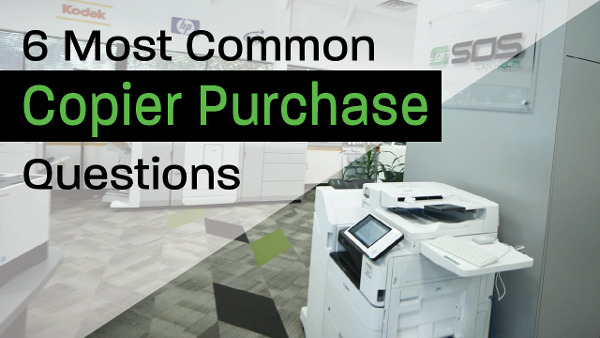 In fact, choosing from among different copier companies is just as important, if not more so, than choosing the right device. By choosing the right company to work with, you’ll be assured that things like maintenance, repair and customer service will be handled quickly, so that you can get back to work. That is where SOS comes in and why companies are turning to SOS as their new Multifunction Copier provider in the Atlanta marketplace and across the country. Whether you’re looking to address the relatively simple needs of a small workgroup or the more complex requirements of a document-intensive enterprise; SOS is your strategic partner that can help you build the right solution for your needs. Together, we can transform your business into a powerhouse of productivity with the right equipment, speed, functionality, and dependability put into action with the right strategy. Our digital solutions are built using technology from Canon and Sharp, two of the premier providers of office equipment in the world. 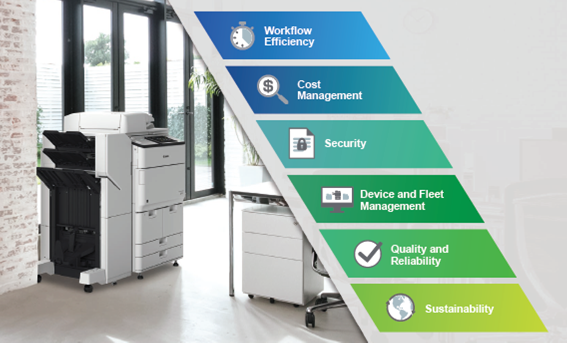 Multifunction Printers combine the capabilities of an office copier, printer, fax machine, and/or scanner in one convenient device, allowing for print asset consolidation and noteworthy cost reduction. We offer a network-ready range of black & white Multifunction Copiers from 25 to 120 pages per minute (ppm). This wide range of speeds allows us to provide office equipment solutions for both workgroup and light production environments. We also offer a complete line of Production Print Systems with speeds greater than 120 ppm. High-Quality Output: Copy, color scan, and print black & white or business color documents with exceptional image quality and output them with professional finishing options. All of Standard Office Systems Multifunction Printers and Copiers and digital solutions are backed with our Total Care Guarantee performance in order to ensure our clients' complete satisfaction and peace of mind.